Teenage boys have shot to the limelight in Westmoreland with a 17-year-old formally charged for murder and a 16-year-old charged for illegal possession of firearm mere hours apart. 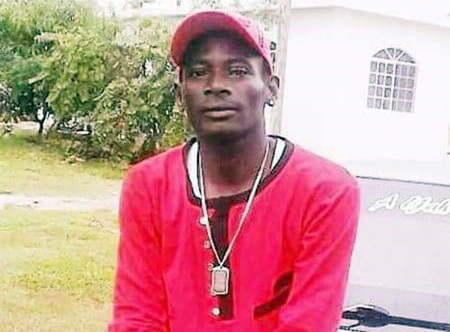 A grade eleven student of the Grange Hill High School, who was detained in connection with the stabbing death of 44-year-old security guard, Clifton Lumley on March 29, was formally charged for murder by the police on Monday, following a question-and-answer session. Lumley, who was attached to the Alpha Security Services, was at school on Friday, March 29, when two boys, one of whom was on suspension, entered the school compound at approximately 2:50 in the afternoon after allegedly climbing over the security fence. Lumley and the dean of discipline at the school, reportedly asked the boys to leave the premises and they left, but subsequently returned. It is alleged that a dispute developed between the boys and Lumley and the police was called. Lumley, along with other persons, were sitting at the front of the guard room when the boys ran towards them. The other person got up while Lumley stayed. One of the boys allegedly hit Lumley on the shoulder with a stick. Realizing he was under attack, Lumley attempted to enter the guardroom when the other boy used a knife to stab him several times. He was rushed to the Sav-la-Mar General Hospital where he succumbed to his injuries on Saturday. Meanwhile, the Westmoreland police report that last Wednesday, a 16-year-old boy was walking along the road in Bethel Town when he was stopped by the lawmen. A knapsack he was carrying was searched and the police reportedly found a homemade hand gun He was subsequently taken into custody and later charged.